Tamara Daly is the Director of YU-CARE. 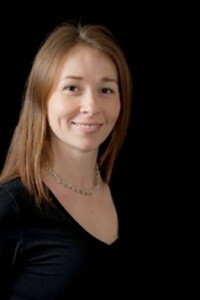 She is a CIHR Research Chair in Gender, Work and Health; and an Associate Professor in the School of Health Policy and Management at York University. Daly is internationally recognized as a health policy researcher committed to advancing the health of older Canadians. She investigates health equity for older adults through interdisciplinary lenses that address aging and long-term care, health and social care policy, formal and informal care systems, conditions of care and care work, and how gender and ethnicity shape access to health and social care. Her groundbreaking collaborative research aims to ameliorate living, working and visiting conditions for vulnerable nursing home residents, their care workers and families. Albert Banerjee, Pat Armstrong, Tamara Daly, Hugh Armstrong, Marta Szebehely, and Susan Braedley (2015) “Careworkers Don't Have a Voice:” Epistemological Violence in Residential Care for Older People,” Journal of Aging Studies 33, 28-36. Tamara Daly (2013) “Imagining an Ethos of Care in Policies, Practices and Philosophy”, in Troubling Care. Eds. Pat Armstrong and Susan Braedley, Canadian Scholars Press, pp. 33-46. Pat Armstrong, Hugh Armstrong, Tamara Daly (2012) “The Thin Blue Line: Long Term Care as an Indicator of Equity in Welfare States,” Canadian Woman Studies. Eds. Michaud, J., Braedley, S., and Vosko, L, 29 (3), 49-60. Albert Banerjee, Tamara Daly, Pat Armstrong, Marta Szebehely, Hugh Armstrong, Stirling LaFrance (2012) “Structural Violence in Long-Term Residential Care for Older People: Comparing Canada and Scandinavia,” Social Science & Medicine, 74 (3), 390-398. PMCID: PMC4069106. For more information about Dr. Daly, please view www.tamaradaly.ca.